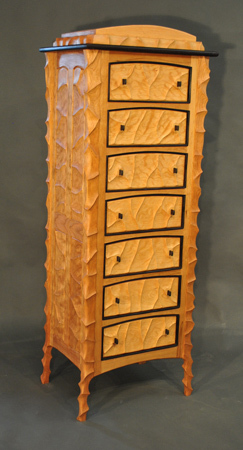 A seven drawer carved case of cherry, curly cherry and wenge. A re-thinking of the classic french semalier case. 70" x 30" x 19"